I was sorting out my laptop the other day, trying to delete some space as usual, when I came across these forgotten photos! I absolutely loved these pictures and I can't believe we never shared them with you guys, so I decided that I would dream Disney again and share these pictures on our blog! 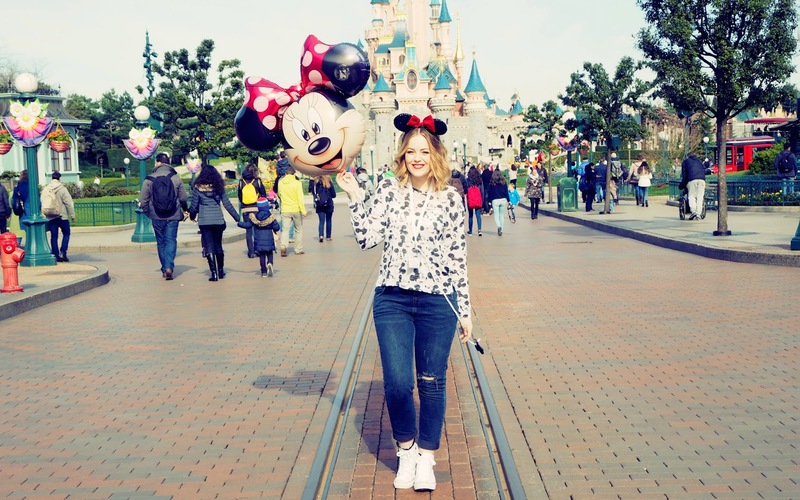 These pictures were taken when we celebrated our 21st birthday in March at Disneyland Paris, we had the best and most magical birthday week ever there! 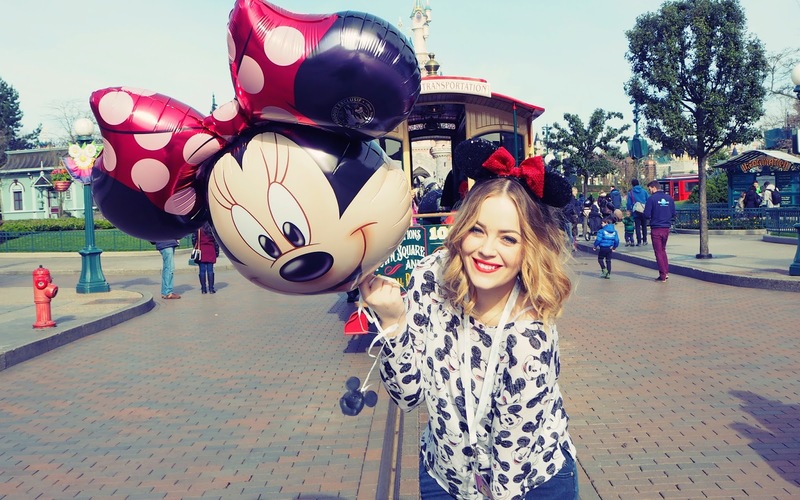 It was our last day in Disneyland Paris so we decided to put on a red lip and dress up Disney style! Disneyland is our happy place, and our favourite place, so of course we wanted to spend our birthday there! H&M and ASOS are the perfect places to find disney attire, wearing our Mickey Mouse themed tops and not forgetting to finish our looks with a perfect pair of Minnie Mouse sequinned ears! When looking back at these pictures, it makes me so happy but also makes me dream about going back to Disney! Where is your happy place? Where do you dream about visiting next? Let us know in the comments! I will leave below some Disney outfit picks for inspiration to wear at the parks if any of you guys are planning on visiting Disney in Paris or Florida! Let us know what you'll be wearing at Disney! 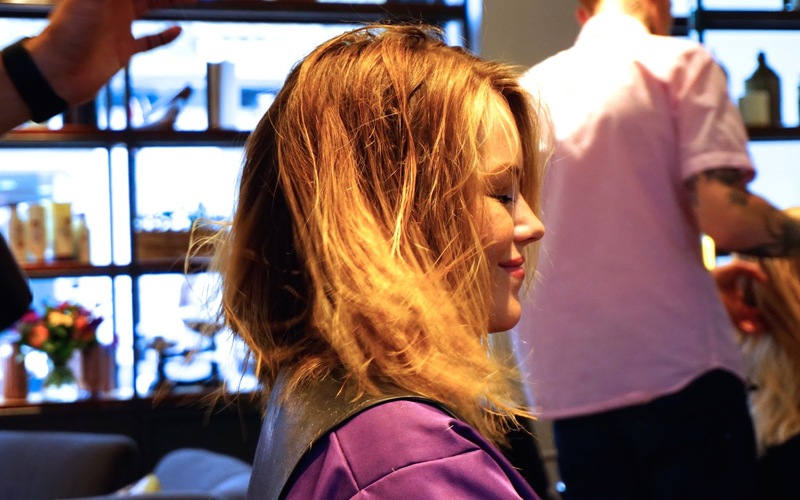 A couple of weeks ago we both had the amazing opportunity to have our hair cut and styled by the amazing George Northwood at his hair salon in London! Since following George on Instagram for a while now, we knew we would be in very safe hands! After all, he's the man behind Rosie Huntington Whiteley's glamorous chic bob and Alexa Chung's effortlessly amazing hair! We knew that we would come out his salon with superstar hair! I've had the picture of Rosie's bob, cut by George of course, saved on my phone as 'hair inspiration' as I loved it so much. The salon is so stylish and quirky, like something from Pintrest with marble table tops, spotlights, and the most comfortable armchairs ever. We both loved how it felt really homely inside the salon which made our experience so relaxing! 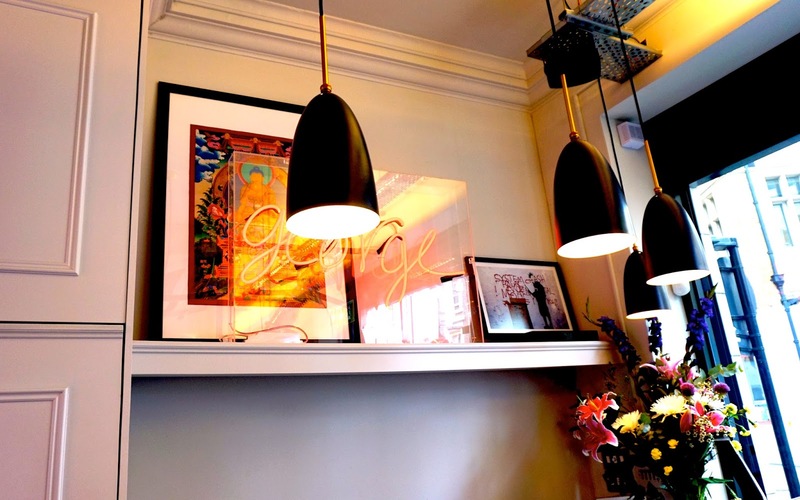 George's Salon definitely stands out compared to other London salons, I love the vibe of this salon as its so welcoming, just like you're at home. All of the team were all so friendly too! Another thing that was also great was the display of treats that they offered us while having our hair done! 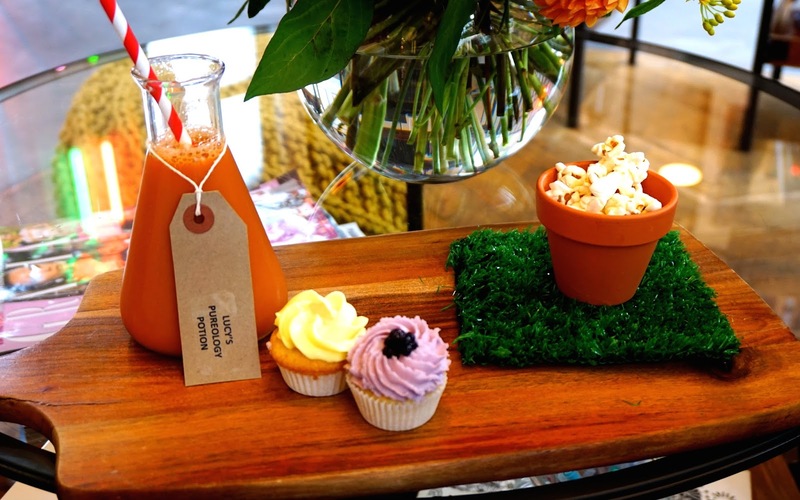 We were presented with vegan cupcakes and smoothies in quirky bottles! 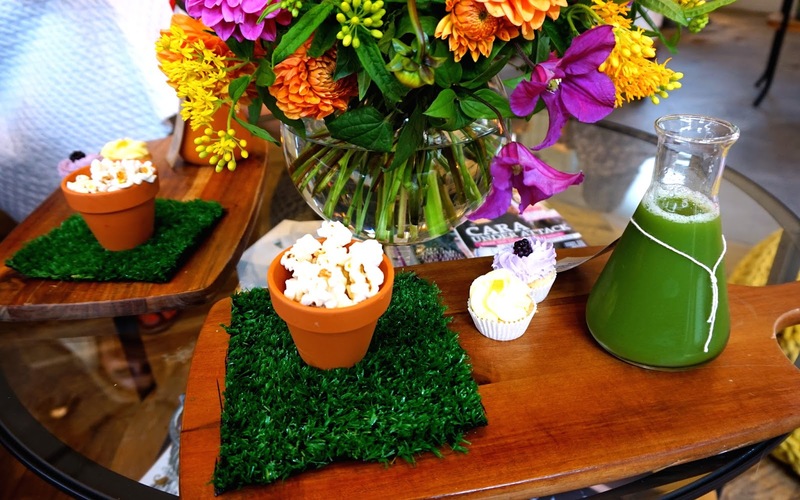 Everything to the way that even the snacks were presented was so incredible! Mel from Pureology gave us some amazing hair goodies to take home with us, which would provide us with a full after-care kit for our new hairstyles! 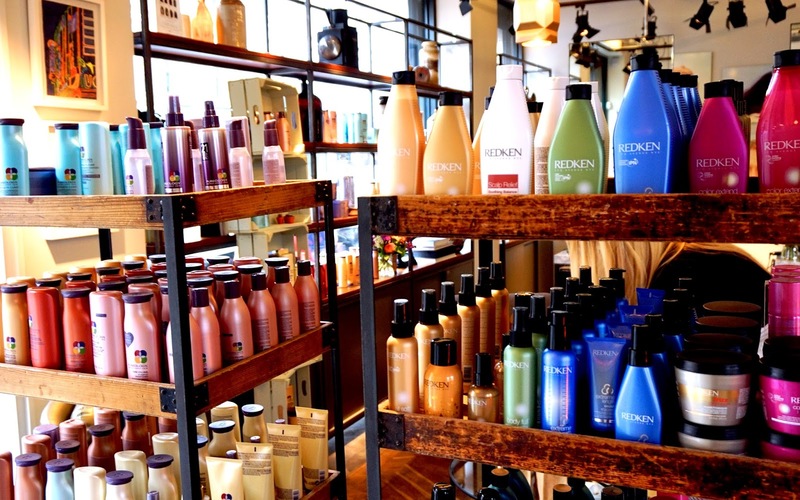 Pureology is known as being the #1 in colour care hair products so of course we knew that they would be perfect for us! George talked us through what products would work best for our hair and which ones would be vital for our hair needs. Not only are their products amazing for colour treated hair, but they also have a range of products that help with strengthening the hair, volumising and creating shine. All the products are sulphate free and all vegan too! 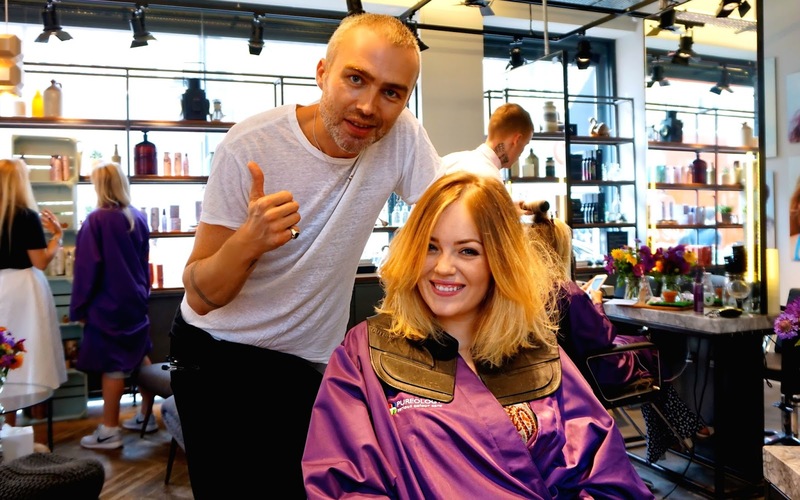 George picked out the Pureology Perfect 4 Platinum range for Lydia, which would help to brighten the blonde tones in her hair, and he picked out the Pureology Strengthening Cure range for Lucy. 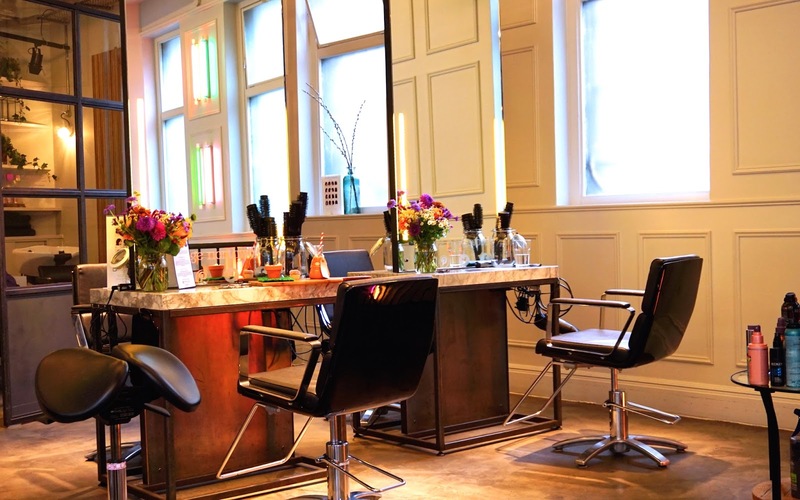 As George is a Pureology Ambassador, and the salon is a Pureology & Redken flagship, it only uses their amazing products, so George and his team know exactly what specific products would work perfectly for your hair. Since using the Pureology Perfect 4 Platinum Range for a month now, we can say that its one of the best highlighting ranges that we have ever tried! You may have seen us talk about it in our September Monthly Favourites, or even on our Instagrams! The products are specifically for highlighted and colour treated hair and we were both so surprised at how much it lightened and left our hair feeling so amazingly smooth and soft. Our hair is balayaged so these products have really helped lift the blonde tones in our hair. They used these products on our hair in the salon and our hair has honestly never felt so amazing! They introduced Lucy to the Pureology Strength Shampoo and Conditioner, which are perfect for giving your hair so much shine but also leaving it in amazing condition and strengthening the hair. We have both fallen in love with the Pureology range and we have continued to use them as we love them so much! When George was cutting and styling our hair, he was also explaining to us what products would be perfect for us! 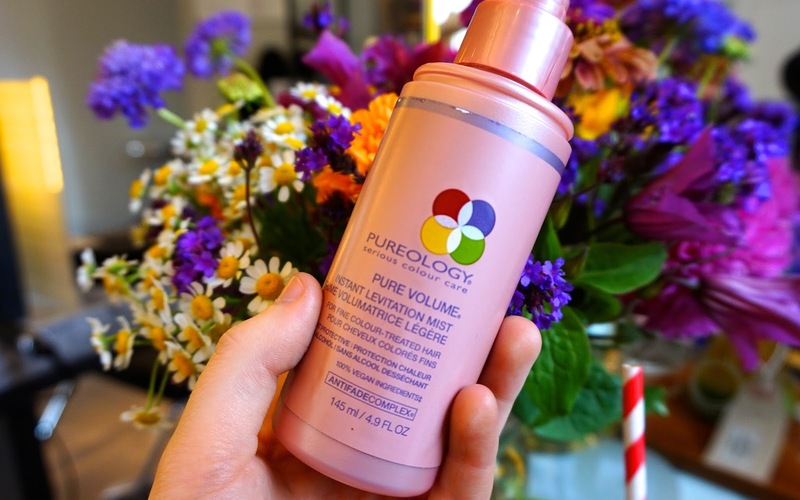 He introduced us both to the Pure Volume Instant Levitation Mist, which is a volumising formula spray that you can spray at the roots of your hair to create lift and maximum volume. When he gave us a supermodel blow dry, you could see how this product create so much lift to our hair and also how voluminous it made it look. 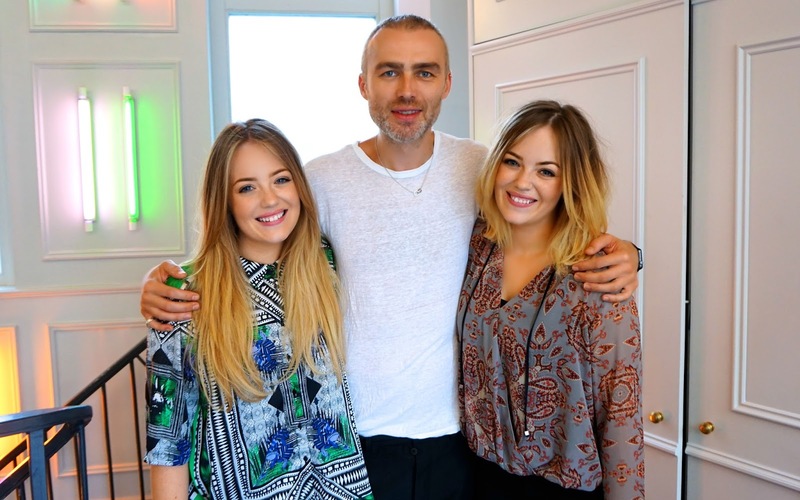 George did such an amazing job on both of our hair and what an amazing experience it was to have our hair cut by him! 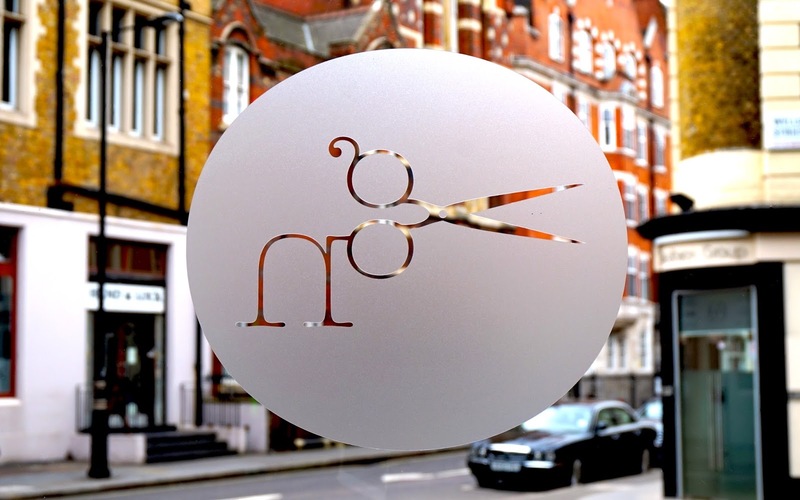 Our overall experience was so amazing and we feel very thankful that we had the chance to have our hair cut by George! We had such a great time and we both felt really looked after by the whole team at George Northwood. Thank-you so much George and your team, and also Mel from Pureology! We are going back next week to have our hair coloured! We are so excited! 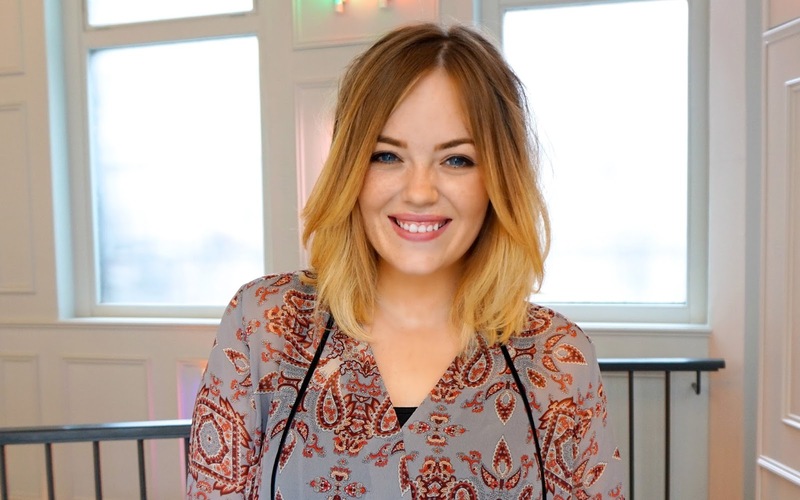 Follow our Twitter @LucyAndLydia to see our new hair next week!